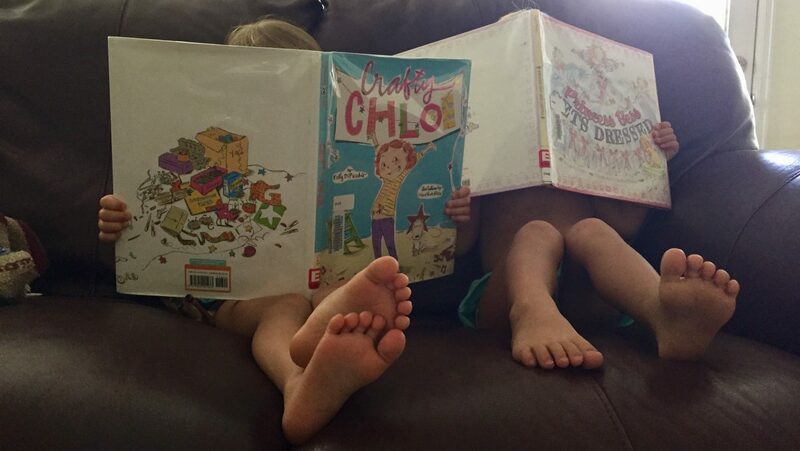 In case you haven’t heard me say it before… Lila and Nina LOVE books. They read at least four books a day, and upwards of ten to fifteen when they are on a roll. 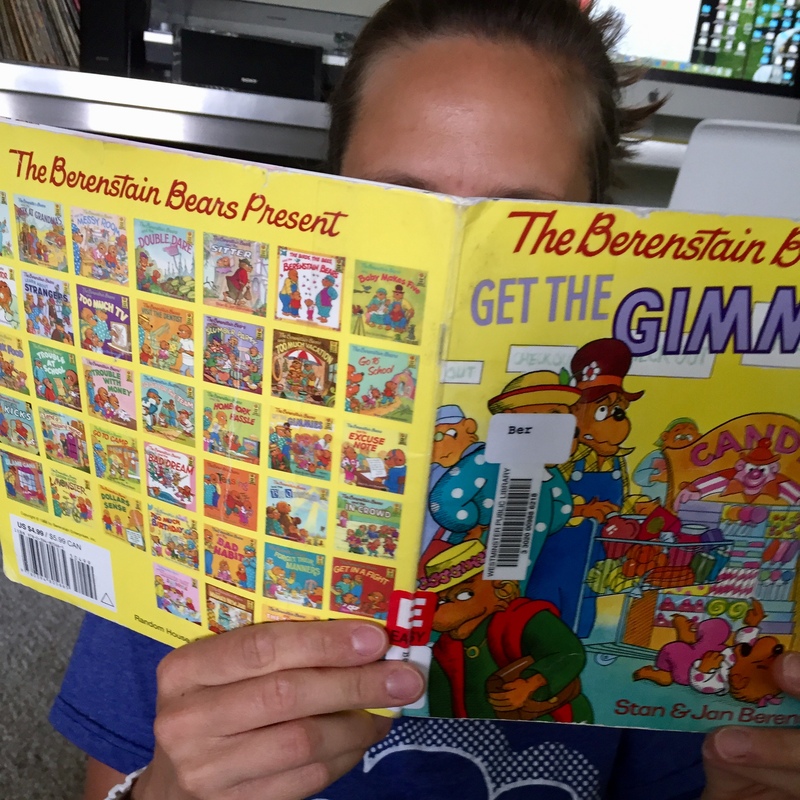 Because I have two bibliomaniacs we go to the library once a week, we belong to a book of the month club, people always gift them books, and we shop the book section of the thrift store. We just can’t seem to get enough. We just signed up for this program so it hasn’t kicked into gear yet, but as I understand it you just sign up and get books mailed to your house for free. If there’s one thing that’s almost as fun as using your mom’s phone, it’s getting mail. 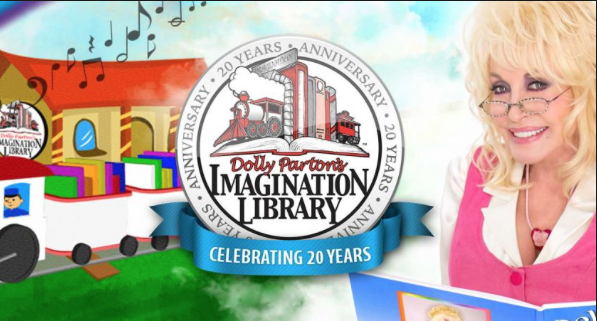 Also, you can live stream story times hosted by Dolly. How great?! I grew up with some Dolly Parton, and now my kids can too. In other news…the new baby boy and I are doing great. He is just over a month old, and has sat through almost 80 books himself. His favorite story times are when Nina and Lila lay him on the couch and read him books themselves. 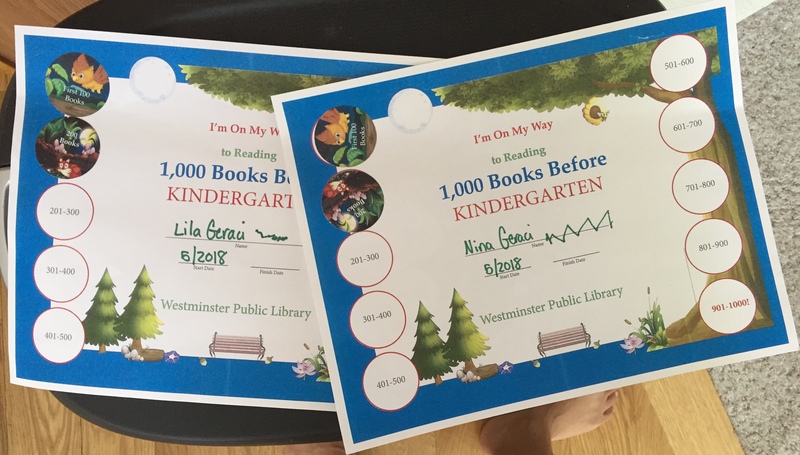 This entry was posted in Colorado, Uncategorized and tagged 1000 Books Before Kindergarten, books, Imagination Library, reading, Toddlers, twins.